Our children were away at school. this was our journey to make, not theirs. I remember that spring evening well. ill from that day’s treatment. but I was tired of being stuck inside. and stepped into our backyard. 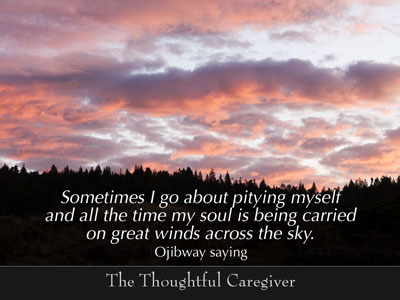 sad also about needing to be a caregiver. I don’t like to admit that, but it’s true. and felt sorry for myself. radiant with reds and pinks and blues. came at me and pierced me at my core. on great winds across the sky. known to us also as the Chippewas. in a way I have not forgotten. but were those all I held? and I felt carried by love. but was such mystery so bad, so wrong? including the largest Mystery of all? to describe it at all? across the even greater sky. 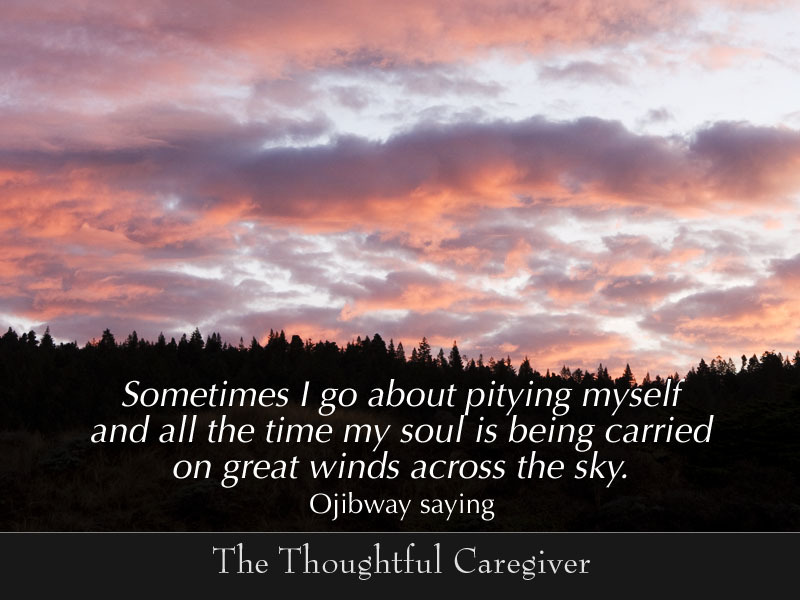 This entry was posted on November 16, 2007 at 8:43 am and is filed under Caregiver Truths, Caregiving & Feelings, Caregiving & Spirituality. You can follow any responses to this entry through the RSS 2.0 feed. You can leave a response, or trackback from your own site.